It’s that time of year again when the costumes go on and the pop culture celebs descend upon McCormick Place: C2E2 is back! The nerdy, geeky, and most fun convention you’ll be at is this weekend and I so highly recommend it that I’m mentioning it twice! Check out our preview of the show and come back for our coverage throughout the week! 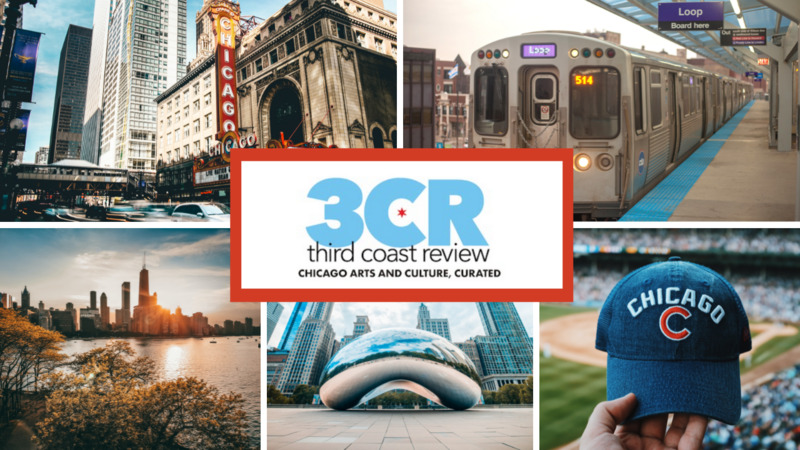 If C2E2 is not your thing, there are plenty of concerts, art shows, beer, and even vegan events for you to fill the next few days! SO WHAT: tokidoki is teaming up with the one and only Rotofugi Designer Toy Store and Gallery for a very special pop-up shop! The opening celebration will have giveaways and major fun! NOW WHAT: The event is free, just come buy with come cash to get in on some of these great accessories. There are special giftbags for anyone that spends $25 on tokidoki merch, while supplies last. To avoid the long queue, Rotofugi will be offering line tickets for this event which will be available at the store starting at 11:00am. SO WHAT: It’s Of Montreal. Can you ever truly know what to expect from Kevin Barnes’ musical project other than you will certainly have a good time? Barnes just know how to throw a weird psychedelic party full of glam kissed tunes, magnificent theatrical presentations, and a little bit of tasteful drag. He will be joined by the timeless musical twists of Mega Bog and the artsy dance party that is local musician Vail! NOW WHAT: Tickets are $30.62 for this fun lineup! SO WHAT: Xylouris White unites the beautiful and emotional lute performances of George Xylouris with the manic and ecstatic drumming of Jim White. The result is a sound like no other, evoking an otherworldly noise that is underlined by its inherent grace. The duo feels like a hive mind during live performances, working in tandem like no other. NOW WHAT: Tickets are $15 and are well worth it! SO WHAT: It’s three days of everything you ever wanted to know about nerd culture and geek stuff in a totally cool and inclusive atmosphere. There will be panels, workshops, speakers, and a whole lot of cosplayers. It’s honestly the most fun you’ll have exploring your every nerdy whim! Check out our full preview of this excellent convention! NOW WHAT: Tickets are available for $$75.75 for the whole weekend if you buy ahead of time. Single day tickets are also available and you can also get tickets at the door. WHAT: For three days, BING will transform into a free bookstore! SO WHAT: Open Books will be dropping by to fill Bing’s shelves with a wide array of book including fiction, non-fiction, YA, and children’s books that will all be up for grabs. So grab your reusable shopping bag, maybe fill it with any books that you’d like to contribute to the giveaway, and then pick out some gems. The following Tuesday, BING will reopen with an entirely new inventory containing fiction, poetry, Black studies, cookbooks, children’s books, art + photography, and much more! SO WHAT: Galerie F will be bringing together the best makers and mashers of characters and mascots! The collection will feature assorted artworks from local street artists with beloved mascots as well as artists near and far who use recognizable characters from popular culture. These mashup masters have an eye for seamlessly weaving different figures, faces and places together. The walls will be lined with characters from your everyday walks, your childhood, and from beyond.You can check out the huge list of artists featured in the event over at the event page. NOW WHAT: This opening reception for this huge show is free! The exhibit runs until the end of the month April 30th! WHAT: Contemporary meets classic with Slate’s newest residency – a monthly stand up comedy showcase! SO WHAT: Keeping with Slate’s mission, Humboldt Pie (hosted by Madeleine Russell) will bring diverse, fresh, contemporary, not to mention gut busting comedic voices to Kedzie and North Ave the first Friday of every month! This moneth will feature with Brandon Kieffer, Shannon Noll, Sarah Vulpio, Lia Berman, Ed towns, and the Lincoln Lodge legend Mr. Derek Smith. NOW WHAT: There is a $5 suggested donation fro this great BYOB comedy show! WHAT: A musical and visual odyssey that shouldn’t be missed. SO WHAT: With his evolving project Mind Over Mirrors, Chicago-based musician and composer Jaime Fennelly will be premiering Bellowing Sun, a work that creates an aural prism through the layering of acoustic and electronic instruments. This new project features vocalist and percussionist Janet Beveridge Bean, violinist Jim Becker, and percussionist Jon Mueller working together to create an extraordinary performance firmly in the contemporary avant-garde. Bellowing Sun is performed with the audience encircling the musicians underneath a large kinetic sculpture, designed in collaboration with Timothy Breen, Eliot Irwin, and Keith Parham, was hand-built in the shape of a great lighted drum. NOW WHAT: Tickets are $30 and are still available for the Friday 10:00pm show! There is also a day of waitlist for the Friday and Saturday 7:30pm shows. SO WHAT: Spend your Saturday rocking out to the best female lead band at the grand finale of Frontwoman Fest! You’ll get to see the likes of Glad Rags, Glitter Moneyyy, Black Sandwich, Freddie Old Soul, Erzulie, Decima, Little Church, Alysha Monique, Jordanna (check out our wonderful interview with her), Ovef Ow, Superknova, Fauvely, and special guests! Check out a mixtape of the performers below and have yourself a fantastic time! NOW WHAT: There is a $10 cover for this full day of excellent tunes! Proceeds from the show and sales of their limited edition mixtape benefit Girls Rock! Chicago and will help them continue their mission of empowering young women, trans youth and gender-non-conforming youth through music education. SO WHAT: Firkin Fest is a time where you indulge in some delicious beer that has been conditioned in unique casks, imbuing a myriad of flavors into the alcoholic beverage. 40+ breweries will be filling firkins, a 10.8 gallon keg, with their most exciting and rare cask-conditioned ales to enjoy all day long! These brews are as natural as they come: unfiltered, unclarified, unpasteurized, and no forced carbonation. Check out their event page for the long list of participating breweries! NOW WHAT: Tickets are $40 and include a sampler mug for unlimited firkin pours and a raffle ticket for a chance to win extra-rare bombers to take home! There’s also a buffet upgrade ($10) and a chance to buy a growler ($20) take one of these tasty concoction home. Proceeds from Firkin Fest will go to benefit PAWS Chicago! WHAT: Chicago’s Vegan Test Kitchen is a community of local plant based chefs and vendors of cruelty free goods, and beauty and wellness products. SO WHAT: CVTK’s Spring Fling Pop-up will be coming to Emporium with a meticulously curated Vegan Bazaar featuring local vegan treats from conscious local chefs and vendors providing cruelty free goods. There will also be a fully stocked bar to help wash down that delicious grub. You can check out all the vendors and chefs that will be in attendance over at their event page! NOW WHAT: Entry is free! You can register here for 20 free game tokens to spend on arcade games! SO WHAT: The Bones of J.R. Jones make the kind of folk music that will get stuck in your head with its vivid lyricism and foot stomping melodies. Joining him will be fun American twinged folk of Ryan Joseph Anderson. NOW WHAT: Tickets are only $8 ($10 at the door) for this fun night! SO WHAT: Fifty50’s mission is to bring exposure to great local and touring acts by putting on a fantastic show. After paying the artists and expenses, the rest of the proceeds are donated to non-profits. This Sunday’s shindig will feature the excellent local garage rock duo The Lipschitz, some chill indie rock from locals Harvey Fox, and some boisterous rock from Boston’s Rye Pines!